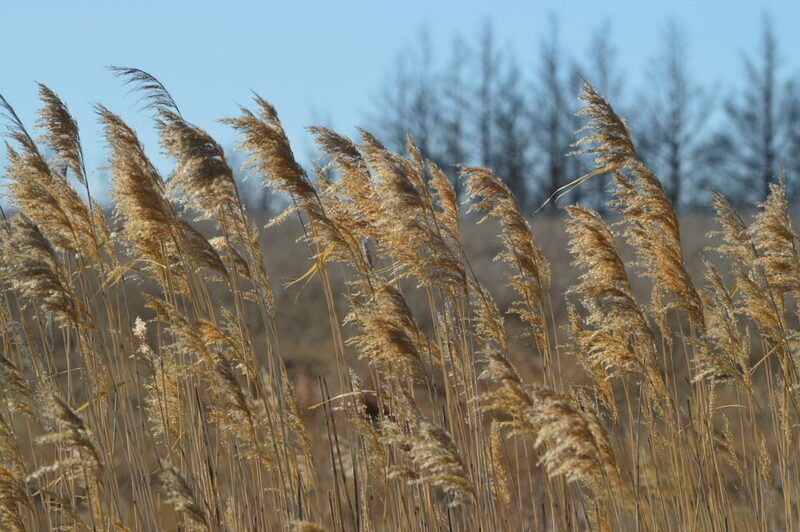 Who knew that out in the middle of the Canadian prairie fields, I’d meet a dissociative trauma survivor for the first time….?! People often ask how I got started working with Dissociative Disorders and how I learned to talk with people with DID. That’s a fair question, so l will tell you a little bit of my story. I started my work with dissociative trauma survivors way back in the 80’s. 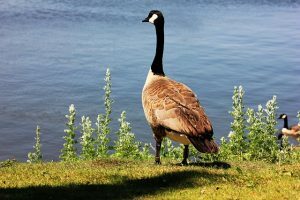 At the time, I was living on the Canadian prairies working at a residential centre for troubled teenagers who had gotten into a little bit of trouble with the law. I had just returned to work after a wonderful 6-month maternity leave, and at that moment, I had an empty caseload. I was rested, refreshed, and ready to get back to work. Because I was not already booked up with a full client load, I was given a very interesting opportunity to work specifically with a 13-year old girl who had arrived at our facility a few days before. She was legally required to live there for a few years, and we were expected to help her during her very long stay at this treatment centre. This girl was really angry. She set several fires in the bathroom. She yelled a lot. She threw furniture. She threw food. She refused to speak to any of the men on staff. She stayed in her room by herself and refused to participate in any group activities. She had everyone baffled, and she most certainly wouldn’t let anyone get anywhere close to her. So far, all the staff members were completely striking out, and she was simply not having it! Besides her aggressive and violent behaviors, she had just been very recently diagnosed with DID by Dr Colin Ross, and you can bet your bottom dollar that no one at that facility had a clue about what to do about THAT. It seemed to me they were all a little freaked out. I’m not sure who was more scared of who. Were those staffers more afraid of her, or was she more afraid of them? I guess I came back from my maternity leave just in the nick of time because they really didn’t know how to help this girl in any way, shape, or form. So with me being female, and having extra time in my new work schedule, my team leader wanted me to go meet this young gal and see if I could talk with her or reach her in any way. First I was filled in on all the terrible problems that were happening, of course. My goodness. What a challenge I was given on day one of my return! But hey — I was in a good place, and I was up for it. So I mustered up my courage, hoped things didn’t explode out of control, and decided to go say hello to her. And this so-called Wild Child looked up at me, stared at me for a bit, checked me out with her hypersensitive spidey-sense. I looked back at her, gave her a non-threatening soft smile, and soon enough, she nodded an okay in my direction. I went a little closer, close enough to talk comfortably, but certainly not crowding her space, and we just talked. And talked. And talked. She was not any trouble at all! This young gal was a beautiful soul and she was certainly in a whopping lot of pain. Oh dear, oh dear. Where was this monster child they had spoken of??? I didn’t see any monsters. Where was all this volatile rage they had been battling? I didn’t see any rage. I saw a young teenage girl who was hurting, and scared, and sad, and feeling so very, very alone. We hit it off instantly. Without a problem. Without any screaming, without any anger, without any overturned furniture. I was gentle and respectful towards her and she was warm and receptive to me. And that was that. It was settled. We were a team. I was most certainly the person who was to be assigned to work with this gal. Besides, she still refused to speak to anyone else, so I guess, in essence, she chose me. And thank goodness, because this wonderful young girl introduced me to the world of Dissociative Identity Disorder. But wait — can I do this ??? OKAY! I had a big big challenge ahead of me, because I needed to figure out how to help this gal who had DID. I had vaguely heard of DID, (well, back then we called it Multiple Personality Disorder, so MPD), but I hadn’t ever talked with anyone who was dissociative or split. 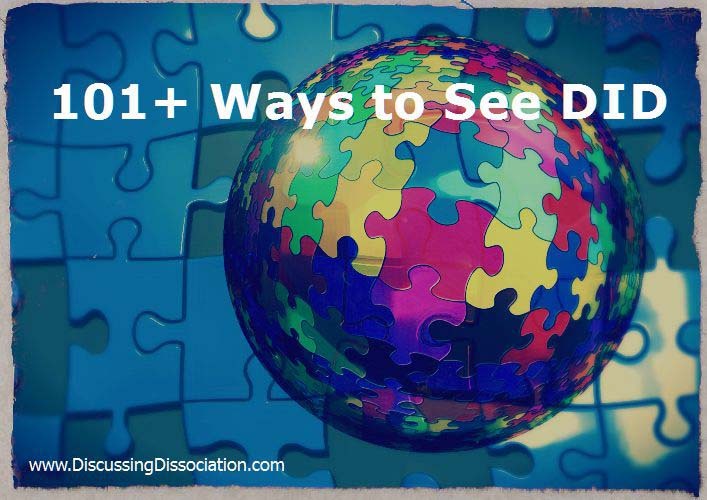 I hadn’t studied anything about dissociation because when I did my Clinical Studies for Social Work in graduate school at KU, “there were only 200 people in the whole world with Multiple Personality Disorder,” or so they said anyway. I was well educated, but I certainly didn’t know much about MPD, so I couldn’t bring that to the healing equation. However, I had a few other strengths to offer. I already had a pretty good grasp on helping with sexual abuse and trauma issues as I was very familiar with those tender places. Plus, I had been working with troubled teens for years — teens who came from horribly abusive families and teens who spent much of their lives on the streets. I had already heard quite a few horrific stories of child abuse. I knew many children came from terrible homes. In my years of working with street kids, I had already learned a few skills about managing volatile and aggressive teenagers. I was physically strong and healthy. I knew I could handle myself around any outbursts. Plus, I had been well-trained in family systems therapy, and had worked as a family systems therapist, so the whole idea of system work was comfortable for me as well. But to see one highly traumatized child as a busy system of lots of inside people? Well, that was a first. I liked this young gal, I liked challenges, and I was interested in learning about DID. I wasn’t too scared or too freaked out by the diagnosis itself. For me, DID was far more fascinating than it was fearful. Sure, these were great skills to have, but they didn’t help me understand Dissociative Identity Disorder or know what to do about it. This was the 80’s, years before there was internet, so I was limited to reading the few resources I could get my hands on. I really wanted to learn, and understand, and be helpful to this young girl who was put in my care. I felt an immediate and deep responsibility for her, and tried to learn as much as possible. Needless to say, the whole DID/MPD treatment process was as new to me as it was to this very newly diagnosed young gal. And it was absolutely new to everyone else in the treatment centre. None of us knew what we were doing. Fortunately, I had a little extra help. Dr. Colin Ross and Geri Anderson, his wonderful nurse assistant, were available for near weekly supervision meetings / phone calls to help me figure out what I was doing. Remember, this was back in the 80’s when we all lived in Canada. Dr. Ross was newly emerging into the picture as an expert in the field, and he wasn’t quite as busy then as he is nowadays. But he certainly knew more than I did (back then, maybe not now, HA! ), and the guidance I received from Dr Ross and Geri Anderson was an absolute life-saver for me. They guided me along, week by week for at least two years, and their commitment to helping was very much appreciated. I was able to ask them questions, and get their expert opinions on what to do next. Plus they provided emotional support for me as I found my first exposure to this level of trauma work to be very heavy and personally challenging. The main goal, however, was to develop an understanding of dissociative disorders so I could learn how to help this gal. After all, I had been personally selected for this job, and by golly! I was determined to be helpful. The Treatment Plan — Starting at the very very beginning….. I had done a good job at connecting with this gal, and continued to build a solid level of trust and rapport with her. We were building a solid relationship, and we were comfortable talking together. This was good — she needed to be able to feel safe with me, and that was happening. Because she was living at the treatment centre, I knew her basic needs were being attended to every single day. There was 24-hour care at the centre, a variety of people she could talk to at almost any time of day or night, and I was able to give her hours of individual attention each day I was at work. She was given healthy food, a warm place to stay, clean clothes, her own personal space for rest, recreational activities, and a proper school education. She had medical attention whenever it was needed. Most importantly, she was completely safe in her outside life and her abusers were not allowed to hurt her anymore. But she was still a dissociative young girl, who was hurting, and scared, and sad, and feeling very very alone. So… it was important for me to figure out how to meet her system, and to figure out how to help her. How Do You Meet the People in a DID System ? Exactly how was I supposed to help this young gal figure out who was who in her system? How was I going to find her system folks, and then what was I supposed to do with them once I found them? Or… how was SHE supposed to find her system folks and show me who was who in her system? And what was she supposed to do with them once she found them? Neither of us knew what to do or how to go about any of that. What did you do when you first found out you were DID? Did you know how to find your system folks? Did you know what to do when you found them? And yes, it took a little while, but I’ve learned a few things about what to do when someone is first diagnosed with DID, or when they are first meeting their insiders, or when they are meeting a new insider even after years of time. It’s okay. These are do-able, manageable things. It might feel a little freaky and scary to you at first, but hold tight, stay close, and take the time to learn some things. You can do this. You can most definitely do this! You’re here, and you’re in a great place already. There is lots of help and information available for you here. You are definitely not alone. You’ll see that, ESPECIALLY if you keep reading around this blog, including the comments. It’s good you are here, because already being here, with all the information provided here, you have more resources available to you today than I did when I met that wonderful young girl. What I know about that is …. if I can do it, you can do it! And please know that I wish you the very best in your healing journey. PS: I’ve just told you part of the story from when I very first started meeting inside system people. If you need a little help meeting some of your inside people, or knowing what to do when you find them, I’ve got a fantastic new resource made special, just for you. 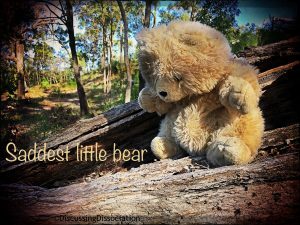 The Saddest Little Bear Dissoci-ACTION Story Pack is about when you first meet your inside bears, and what do you do when you first meet them, or even when you find yet another a new bear years later. This creative resource is available now. I loved reading this. I think the diagnoses itself isn’t that scary. I think my first T found it fascinating to meet dif. alters. Most mainstream therapy doesn’t allow for these type of interactions, but I am thankful you got the chance to work with her. How did she do in her system work? Did she mature understanding her parts? We are early in our recovery, but I think it hard to find good T therapists. Thank you for sharing. We are still learning every day about our parts, and we learned about another one this week. We were surprised, and a bit scared at first, but we are processing the “loss” better today. Thanks for sharing how you began working with DID clients. I’m glad you decided to take a chance. I wish more therapist were willing and flexible in how they work with DID clients. I went to a residential trauma center for 5 weeks to stabilize as my inner-life began to unravel. My primary T referred me to trauma specialist. She figured out I was DID and started treating me without even mentioning DID. I wonder if she did this to avoid influencing my emerging parts, a process which I didn’t understand at the time. When I was ready to know, I asked her what was going on with me, and then we really began working. With a spouse and 2 teens, I was too scared of my diagnosis to learn my parts. I read about the condition and remained aloof. Finally, I went to Dr. Ross’s Center in Texas just last summer. There, I met my parts and learned that I don’t have a host: we’re parts sharing a body. In-patient at Ross was hard work and very structured. I learned tons. Totally worth it. Now the work is hard and progress glacially slow. I’m working on self-awareness and trying to learn which parts are up front at any given time. They didn’t know they existed apart from one another. Now a few do and are exhibiting some flexibility. In-patient at Ross’s Dallas hospitals, now I think it’s Denton, when I was there it was at Charter then Timberlawn, is hard hard work! And totally worth it. When we were there and outpatient there for 4 years we worked on stability and safety issues. Met some inner people too. And bunches and bunches of people like us. I thought it was a good experience and one I would only change in my own troubled and acting out issues. Which is what actually changed so, YAY. I’m glad you got a chance to go. BTW, Dr. Ross has a website that is offering webinars. Check it out. He and Melissa are having one coming up pretty quick that may interest some people here. I can’t say much on how difficult it must be to be going through the turmoil of trauma recovery and having outside children and a spouse. I was married for five years waaaayy back when. My ex was the first person to know some of my alters and that was way before I ever knew they were alters or even what that meant. But, he did not want to have any thing to do with it. So, divorce came soon after. Do your children and spouse know about your DID and alters? Are you/your insiders afraid to come out around them or does your family want no part in your internal life? You dont have to answer that if its too personal. I was just wondering if they support you and all of you or are they wanting to keep the status quo of Mom does all the Mom things and doesn’t have issues and a life outside of their needs. Or, I guess, if I tried standing in your shoes for a second with some of what you have said, maybe I would be afraid of being more open with my alters around them because I would want my family to be pain free. And I would maybe think I was helping them by hiding myself. IDK. Just a few thoughts that ran through when trying to think of how I would feel in your situation. I’m sorry if this sounds bad, but sometimes I think it’s so much harder for people in relationships and who have families because you get pulled by not only the inside but the outside too. And sometimes it can feel like a person is completely and totally alone surrounded by their love ones. Here’s another thought on that; sometimes people who are having a hard time think they need to shield their loved ones from their pain and their loved ones want to be included but the DID person has a hard time letting them be in a different role inside their minds/lives. Plus, you said you are surrounded by loving support but finding it hard to feel love. I think that is very understandable. For me, that feeling translates to frozen. We support you. We want to support you in whatever ways we can. I hope you have peace in your life. I am grateful to have our friendship here on DD. Wow, Kennedy, thanks for the deep “listening.” My parts feel really heard. Thank you for that gift and also for your friendship. You can call me Clark for shorter, you like. Kids know some of the parts. I won’t tell the kids how many parts I have because it feels too burdensome to worry them. Unfortunately, they know my angry part, and they know my good parent. They know one of my inner teens ( I have a boy and girl teen inside and a boy and a girl teen outside!!). I try to be one of my adult selves as much as possible in life, and they get tired!! Thanks for info on Ross’s site. Haven’t been there yet. I’ll look. I was glad Kathy had worked with him so that I had a reason to trust being here. I spend lots of time alone even when others are present. We used to think we were a monster. Abusers confused us. Trying to give more hugs. Our home is safe now. I’m safer to be around since angry parts don’t yell as much (thank you, Ts). Reading Nonviolent Communication by Marshall Rosenberg. Good read so far. Hey T.Clark — you’re doing some great work — thanks for sharing that! I wanted to point out something quickly to you. Have a peek at my About Page . Click the About tab at the very top-left on the Home Page, and you’ll see a little more of my story. Thanks for all your participation here — really appreciate that! Intense. I hope you are in your purpose. We all need a passion to experience a meaningful life. I’ve retreated into a shell to protect my me’s. We are safe now. If only those words could be felt by all 9. They will be felt. We will not stop working on this. We will build the neiropathways to know that we are all safe now. May Great Spirit sustain the healers and sustain the afflicted. May we all—each reader, each human—find our humanity to connect safely in the now. Just wanted to say that I know what you mean when you say that you “can’t feel much love”……me either…..all through my teens I couldn’t even say the word (scared of it)….now I just go “numb” and say it because my husband expects me to say it…..I think it comes from Ma trying to find a way to explain to us why Daddy beat us (she was scared of him, too)…….She used to always tell us, “He beats you because he loves you….and he wants you to be good…” How “oxymoronic” can you get???? No wonder I get all confused…..!!!???? 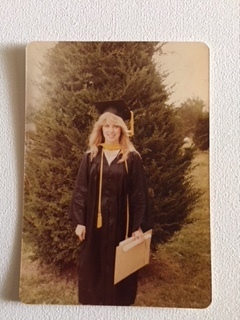 Just for fun, I’ve just now added a picture of me waaaaaaay back on my MSW graduation day. HA! Thank you, University of Kansas, School of Social Welfare, Clinical Concentration ! Oh my goodness! I didn’t even know I could put those funny emoji’s on here! Thank you for teaching me something new, Blue ! Wow … way interesting blog posting Kathy. Thank you for sharing your story with us. Your extensive experience and dedication to the field shines through. So, I am wondering if Laura wanted to share about her first work with DID folks and why she was drawn to this work as well. Certainly Laura has had extensive experience in the therapy field as is evident from her “about page” and various postings here on the DD website. Not wanting to make extra work for you Laura, just expressing an interest in what brought you to an interest in DID. Oh, and did you realize the crazy amount of work that it was going to be signing up to help with Kathy’s DD website? hahahaha! I’m working with a psychologist who is fairly new to DID BUT he is willing to learn along with me. I am making a lot of progress with my psychologist but i wonder if it would be easier/faster if I was able to tell my husband my diagnosis. I feel very alone and many of my fragmented parts are oft n terraumatized by things my husband says to us. We feel safe only with the friend and the psychologist. How can we connect (in person) with other people diagnosed with DID? Thanks for any suggestions in getting more support. I hear your struggle, frustration and pain here. I agree that you need to make your life more supportive with your husband but I think that maybe you need to go at this a bit slower. It does not necessarily get easier or faster when a spouse is on board. Well, actually, easier and faster are not really in my vocabulary because I have come to understand that it takes what it takes time-wise and work-wise in my healing. I was slow telling my husband about my insiders even though we have very good communication in our marriage and he is very supportive of me (as a general rule). He had a hard time hearing this even though he knew in his gut that what I was telling him was true. Now, I think that it would probably be best to work with your psychologist on this matter (i.e., see what he feels would be the best way to approach your husband about your DID and when). It sounds here like your husband may not be the easiest person to tell this kind of information to. Your psychologist may suggest that you wait until you are a little farther down the road on your healing journey (i.e., stronger in your own self and understanding of your DID). He may also suggest that couples therapy with him might help facilitate your telling your husband about your DID. Of course, I am just giving you my gut reaction here. I think that your psychologist would be the best one to counsel you here. Beginning your healing can feel like a very lonely journey. I took a couple of years before I confided in a few friends about my DID with some positive and not-so-positive results. My perspective is to be careful not to rush into telling folks about your DID. I have found my connections here with my DID friends, Kathy and Laura to be invaluable in my not feeling alone. I encourage you to keep reading here and participating. The DD website truly is a safe place to connect with other DID folks and to find support. I do not have face-to-face DID friends. I am sorry but I do not have any suggestions to offer here. You’re bonding with other DID folks now, Barbie. So sorry you don’t feel safe with spouse and so glad you have refuges. Can psychologist help with home safety? I’m reading Nonviolent Communication by Marshall Rosenberg and plan to get my family on board with hearing each other’s needs. I understand how alone you feel. I also haven’t told my husband and don’t have another person other than my T who knows and understands. I live in a rural area, and while I’m sure there are other DID people out there, I have no idea how I would find them to connect with them. I am glad that you are reaching out on the blog here. It will definitely help you to feel connected, to be part of a community and not feel so isolated and alone. I have chosen not to talk with my husband about DID because he is very uncomfortable when I talk about my history and it’s hard to understand and respond to DID if you aren’t willing and able to understand the underlying cause. He responds to different parts of me in different ways, so, on some level, he recognizes when I switch and, most of the time, he responds in appropriate and helpful ways. No one is perfect, so there are times when his reactions aren’t really helpful. There are parts of me that don’t really like him and others are sometimes scared and intimidated by him. I have really focused on feeling safe inside, on being present, on being able to recognize and communicate my needs instead of letting one of the child parts come forward, on making sure I have a goal or list each day to work from so I feel like I am accomplishing things. My list used to be things related to therapy, but as I’ve become more functional, my list now includes more everyday kinds of things. My husband knows I go to therapy and is very supportive of that. I think mostly because he has seen positive changes in me. I am less reactive, I am more functional, I am communicating better, and I responding in healthier ways. The changes I have made inside of me, independent of my husband, have really positively impacted our relationship, even though he doesn’t know my DID diagnosis. Neo, you are amazing. When I read how well you’re responding to therapy, I feel hopeful! Thanks for the gift of you! We live in a metropolitan area of 3.4 million people. We lived in some medium-sized towns (including Lubbock, Texas, to give you scale). I love nature. It is why I live in a rural area. It restores me. We don’t have any shades or blinds on our windows, because I have to let the outside in. I need the sunlight to be happy. We have had bear, foxes, turkeys, deer, owls, hawks, 6 different kinds of woodpeckers, blue birds, eagles, blue heron, wood ducks, raccoons, porcupines, skunks, rabbits, snapping turtles, cardinals, orioles, geese, coyotes, and cows in our yard. I love the wildlife. I also love the slow pace. It sounds weird, but I love having limited shopping. I like having a simpler life and fewer choices and distractions. In a lot of ways, I think it is more of a self-protective choice for me. I get overwhelmed pretty easily and I think I would be constantly overwhelmed living in an area with more choices, and more people and a more complicated life. I like the slow pace. I like how calm it is. I like that I feel like I have more control over my choices and daily life. That I have to be more intentional because it’s not always easy to just get things or do things. The things I don’t like are the lack of some pretty basic services. Our internet is really, really slow. There isn’t access to cable service so it is DSL and it is very SLOW. We have cell phones but don’t get service at our house. So we have to pay for both the landline and the cell phone. Access to healthcare can be a problem. Our local hospital recently decided to discontinue delivering babies, so now young women have to drive an hour to deliver a baby. The education system isn’t ideal. We homeschooled because the local school district was not very good. I guess when you live in a rural area, you have to be creative and create the opportunities or do it yourself or learn to live without. But it’s amazing how nice life is without TV and the nightly news etc. I am glad that we can support and encourage each other here! What a wonderful thread this conversation has turned out to be. Thank you for sharing so much of yourselves (in different ways) T.Clark and Neo. I hope that Barbie can see how much we really do care about and support one another here. As much as I would like to meet other DID folks face-to-face, I feel very content and sheltered in the space here knowing that I can come to the DD website at any time of the day or night and find friends who understand. Oh and Neo, it sounds wonderful where you are living. I have lived in big metropolitan cities, small towns and rural areas and I much prefer the latter. Right now I am living in my husband’s family farmhouse (we are the fifth generation on the land) but we are getting swallowed up by the town. Not much rural here so I am way jealous of the description of where you live Neo! Oh, and despite having several other towns and cities a stones throw away, I travel an hour and fifteen minutes to get to my T. A good T is well worth the travel!